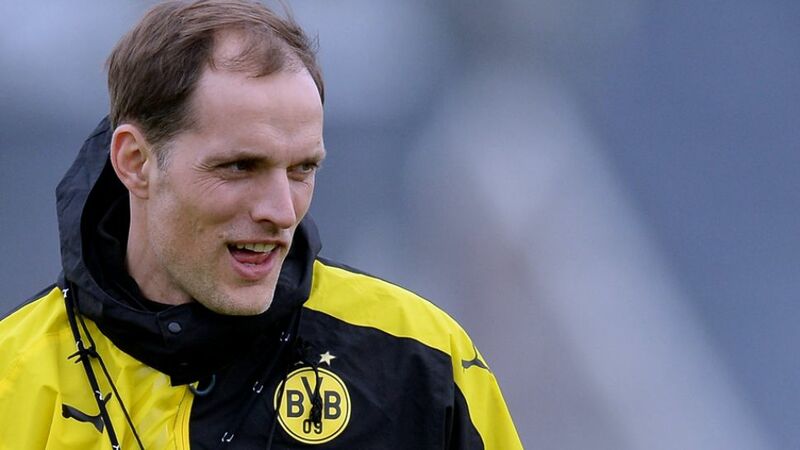 Borussia Dortmund Thomas Tuchel (pictured) cannot wait to work with French wonderkid Ousmane Dembele. The acquisition of Ligue 1 Players' Young Player of the Year Ousmane Dembele ticks all the boxes for Borussia Dortmund head coach Thomas Tuchel. The France Under-21 forward will join BVB on a five-year deal this summer, after making waves in his breakthrough season as a professional with Stade Rennais FC. "I'm over the moon with the signing of Dembele and I can't wait to work with him," Tuchel told media at his customary pre-match press conference ahead of BVB's season finale against 1. FC Köln at the SIGNAL IDUNA PARK. "We worked very hard to get him and we're very excited about his arrival." Dembele only made his first-team debut with Rennes in November last year, but Tuchel insists age will not hinder the 18-year-old's transition to the Bundesliga. "Youngsters know how things work here: great fans, packed stadia and a lot of attention - but Dembele's ready to play in the Bundesliga," he explained. "He's a technically gifted player and a real goal threat." Dembele's impending arrival represents Dortmund's first piece of business following confirmation of captain Mats Hummels' summer transfer to FC Bayern München. The 27-year-old defender will play his final Bundesliga match as a BVB player this weekend, with Tuchel conceding that finding a successor will be easier said than done. "There's no like-for-like replacement," the former 1. FSV Mainz 05 boss admitted. "Mats is not only a great player, but a great person. We did everything we could to keep him, but it wasn't enough. We have to accept that. We'll have to redistribute his strengths somehow."